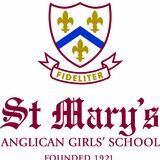 About st mary’s anglican girls’ school What is St Mary’s? What are the important facilities at St Mary’s? We are an Anglican independent girls’ day and boarding school from Kindergarten to Year 12 with over 1400 students. Established in 1921, we have a long history of providing an exceptional education for girls, promoting academic success, personal development and leadership potential to face an ever-changing world. Our campus is modern with beautifully maintained classrooms that feature reverse-cycle air conditioning, interactive whiteboards and today’s technology to support learning and research. Specialist areas include a stunning state-of-the-art library and research centre, a 515 seat performing arts centre, a large music and dance complex and a state-of-the-art media studies centre, swimming and diving pools, extensive sporting ovals and a 100 acre off-campus outdoor learning and leadership centre in the south-west. St Mary’s is one of the leading schools in Western Australia, ranking regularly in the top three schools. Our academic profile is first class. Where is St Mary’s? We are located ten kilometres north of the centre of the city of Perth in the heart of Karrinyup. The school is located on 40 acres of expansive, landscaped grounds surrounded by native bush. This serene setting is the perfect environment for dedicated learning. Perth is a city of two million people, economically vibrant and safe by western standards, with an active outdoors lifestyle. In the Classroom What is the academic reputation of St Mary’s? We are regularly ranked in the top three schools in Western Australia, often being placed first. In 2014, two students from St Mary’s achieved General Exhibitions (top 40 students in Western Australia) and one student achieved a Special General Exhibition, placing her in the top 25 students in Western Australia. Three Certificates of Distinction were awarded to St Mary’s students (top 0.5% of the State in a course). Class sizes for Year 7 are 25, Years 8 to 10 in the low 20s and in Years 11 and 12 range from 10 to 20, depending on the subject. Our teachers are well-qualified and passionate about girls’ education. What extra-curricular activities are offered? What subjects are taught at St Mary’s in the Senior School (Years 7 to 12)? We offer a wide range of subjects, ranging from Science and Mathematics to the Humanities, Languages, the Arts, Business, and Design and Technology. Gifted and Talented programmes are offered in English, Mathematics, Science and Society and Environment. Extra-curricular activities are an integral part of our school’s educational philosophy. A wide range of activities, including music, dance, drama, sport, debating, outdoor education and scuba diving are on offer. Students are also encouraged to be mindful of the needs of others and become involved in community service. Our International Students What has been St Mary’s history with international students? Where do international students live while studying at St Mary’s? Each year we have between 10 and 25 international students studying at the school. Our commitment has been to have a small number of international students, to ensure that an outstanding education is provided. We are registered by the Australia government and our CRICOS number is 00454C. It is a requirement for international students to live in Anne Symington House, located in the centre of the school. There are 190 boarders, most of whom come from country Western Australia, from farming areas and mining towns. Accommodation is modern, bright, air-conditioned and highly maintained. Students in the lower years share a room and in Year 12 they have their own room. The boarding house is a warm, caring and lively environment with a strong academic focus and the opportunity to engage in numerous weekend activities and make wonderful friends. It is an inclusive and happy place to be, with a clear structure and high expectations of work ethic and behaviour. The Head of Boarding has close and regular contact with all boarding students. There is an excellent tutor programme that assists students during the week, including Maths Club on Monday evenings. The International Students’ Co-ordinator and school counsellors provide additional support for the girls. The students regularly become involved in different celebrations to recognise their unique cultures. Our chef prepares a varied, multicultural menu, of the highest standard, which accommodates specific dietary needs and allergies. WHY CHOOSE ST MARY’S? Why choose St Mary’s as an international student? We aim to provide an exceptional educational experience for all our students. We are experienced in educating international students and understand the challenges they face and support that they require. We are able to focus on their needs because they are small in number in our school. We look forward to them being members of a happy and vibrant community which focuses on learning, leadership, involvement, and clear values. We are committed to providing girls with an outstanding educational experience that, with dedication and ability, may lead to many post-school opportunities for their futures. We look forward to them becoming citizens of the world, who have successful careers and happy personal lives, and make an unselfish and beneficial contribution to the betterment of society. Where do international students study after they leave St Mary’s? In Australia, they have studied at the University of Melbourne, University of Sydney, University of NSW and the University of Western Australia. Overseas, they have studied at Cambridge University, Oxford University, Royal College of Surgeons Dublin, University College London, Warwick University, St Andrew’s University, Harvard University, Princeton University, Columbia University, North Western University, Northeastern University, Boston University, Georgetown University, New York University, and Tokyo University, among others. The courses have included medicine, law, commerce, business and fashion. Where are they now? Stephanie Goh (’12) accepted a music scholarship with the University of St Andrews in Scotland, where she studies medicine. She has been a part of the St Andrews Chamber Orchestra for the past two years, and last year won the Concerto Competition, which gave her the opportunity to perform Walton’s Viola Concerto with the university’s Symphony Orchestra. Wan-Yi Sweeting (‘10) was awarded the Dux Award with Schools of Isolated and Distance Education (SIDE) in 2012, whilst pursuing a professional tennis career, and was awarded a scholarship to Boston College. She is currently majoring in International Studies (Concentration in Global Business) and minoring in Global Culture. She has secured an intern position with O2 Management, a sports marketing agency, which specialises in athlete representation. Sarah Sim (’13) is currently studying a Bachelor of Arts (Dance) at WAAPA. She is looking forward to going to Taipei National University of Arts (TNUA) on a semester’s exchange. Shaheena Nathani (’09) graduated from Boston University’s School of Hospitality Administration with a double minor in Business Management and Public Relations. She has secured internships at the Liberty in Boston (a Starwood Luxury Collection hotel), the Shangri-La Hotel, Karen Millen and a fashion start-up, Lallitara. Shaheena currently lives in London, where she manages independent and chain hotels in the UK and Ireland, with Tourico Holidays. Brenda Karnadi (’09) graduated from The University of Western Australia with a Bachelor of Commerce (Law) in 2012 and secured an internship programme in one of the “Big Four Accounting firms” in Jakarta. She recently completed her Jaya Vasandani (’96) graduated from Georgetown University Master of Science degree in Law and Accounting from The with a Bachelor of Foreign Service in 2001. She has served as London School of Economics, where she was awarded the a senior staff person at the Women in Prison Project (WIPP) of Herbert Smith Freehills Prize for her performance. In 2014, the Correctional Association of New York, since 2014. Prior to coming to the Correctional Association, Jaya worked on women’s Brenda moved back to Jakarta, where she is currently working for a consulting firm which specialises in evaluating and rights issues as a Policy Associate at the NOW Legal Defense and Education Fund (now Legal Momentum) and the Center for analysing market strategies for Fortune 500 companies. Women Policy Studies, in Washington, DC. Jaya received her law Patricia Djohari (’06) graduated from The University of degree from the Benjamin N. Cardozo School of Law. Western Australia in 2011 with a Bachelor of Engineering Marissa Chang (’13) is currently studying Business at Nanyang Technological University in Singapore, and is looking forward to specialising in Marketing during her second year. She enjoys living on campus and being part of a vibrant community during termtime, which reminds her of her boarding experience at St Mary’s. (Hons) and Bachelor of Commerce, and was offered a job in a construction company as a junior engineer, working on-site in Newman. She now works alongside her parents, supplying steel to the construction industry.